"Make amusing pictures with gaily coloured felt shapes!" 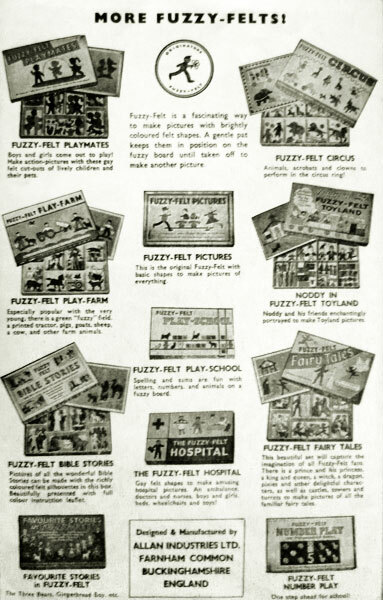 Fuzzy Felt were produced by Allan Industries from 1950 onwards and were felt shapes which clung to a fuzzy board for endless picture variations. 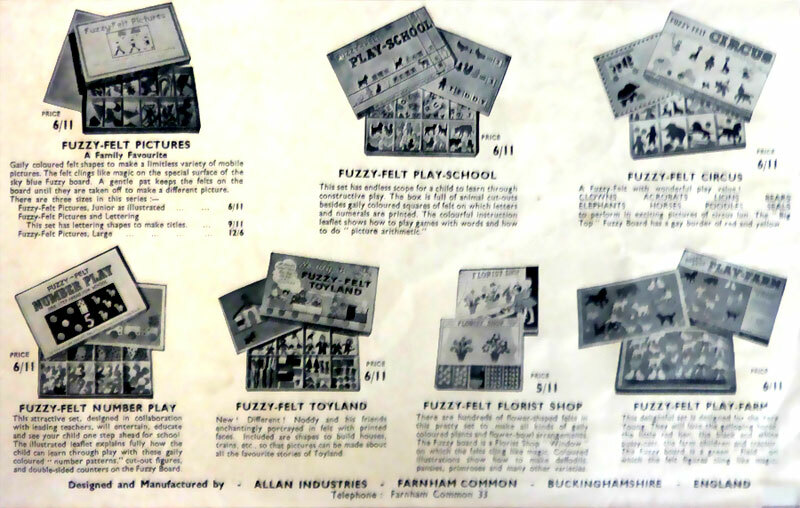 They reached their height of poplarity in the 1970's and are still going strong today, with old and new sets now produced by John Adams/Toy Broker. 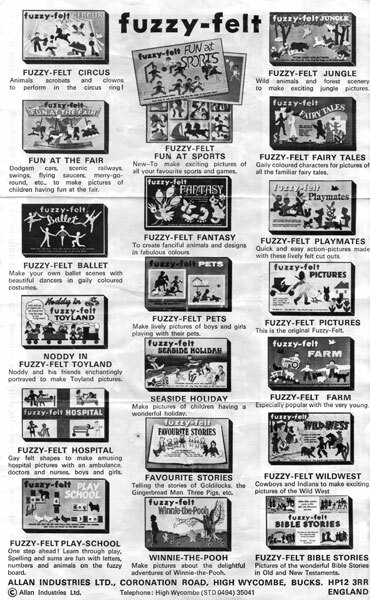 View all Fuzzy Felt on eBay.co.uk ! 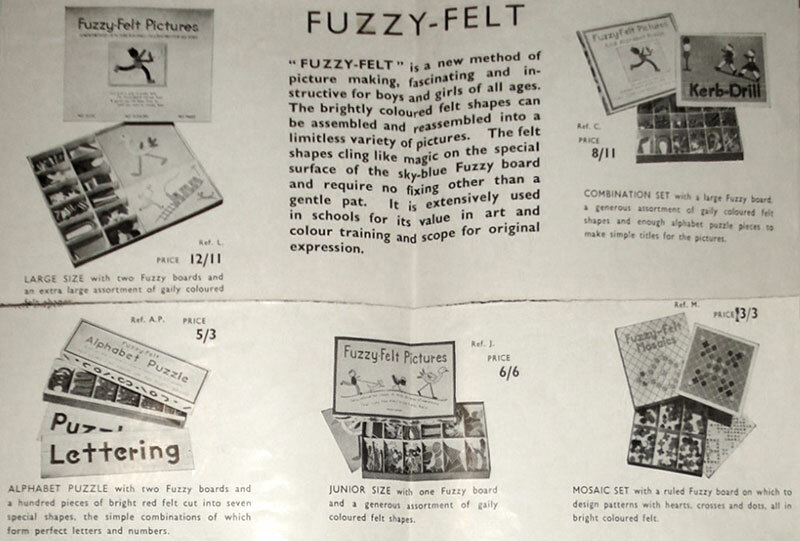 There were lots and lots of Fuzzy Felt sets produced, so I have grouped them into themes to make it easier to browse. 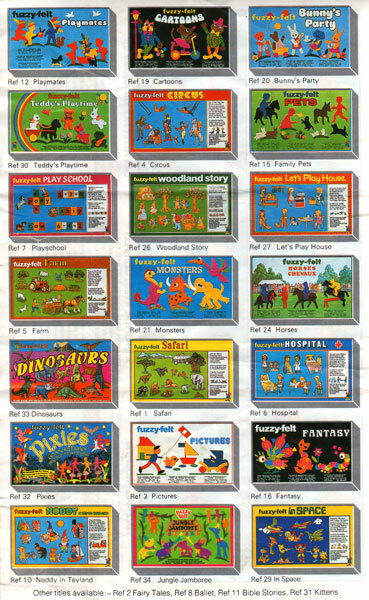 New sets from the 1980's had fully illustrated felt shapes which were made from a firmer felt, so I have grouped them together on their own. 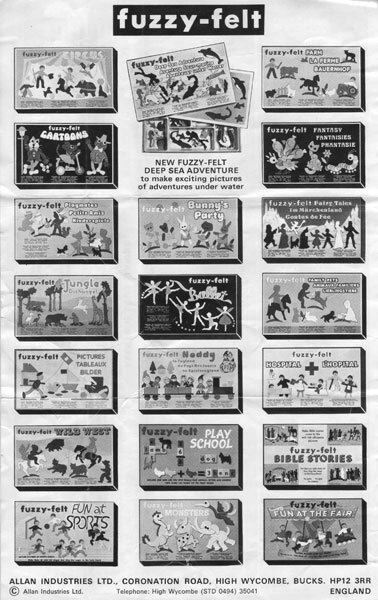 The dates are when each set was first released, with some being released several times over the years. 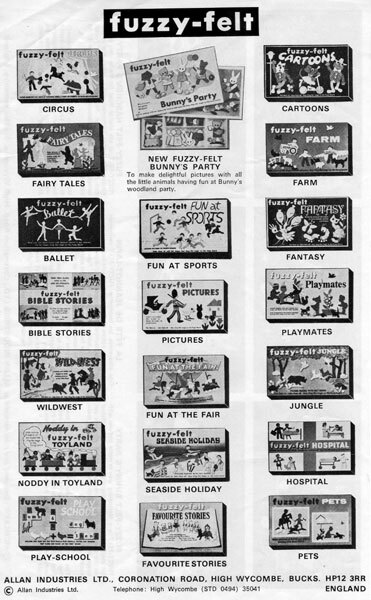 Leaflets with a list of some of the available sets came inside each box. 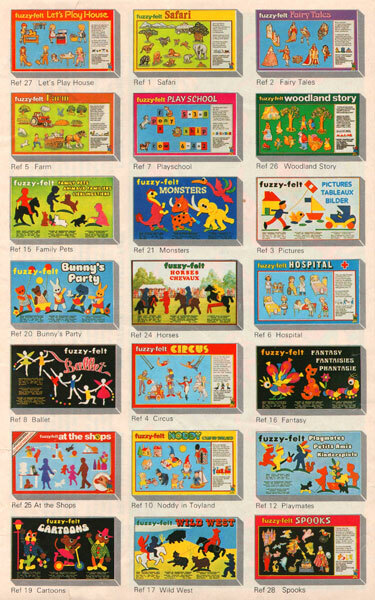 The other side of the leaflet showed example designs of the shapes included in the box to get you going. The first sets to be made were Pictures, Alphabet Puzzle and Mosaics. 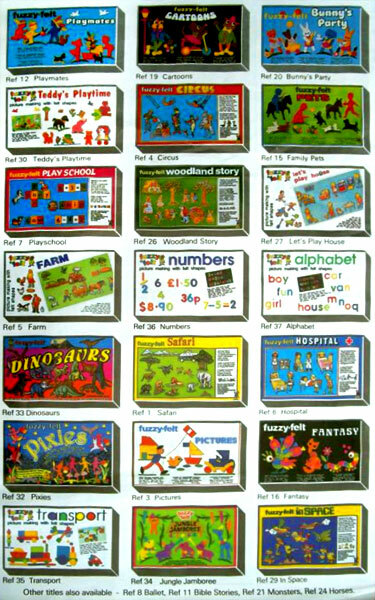 In the 1980's each set was given a reference number, although it had nothing to do with release date. There are a few reference numbers yet to confirm. There are six numbers yet to fill. 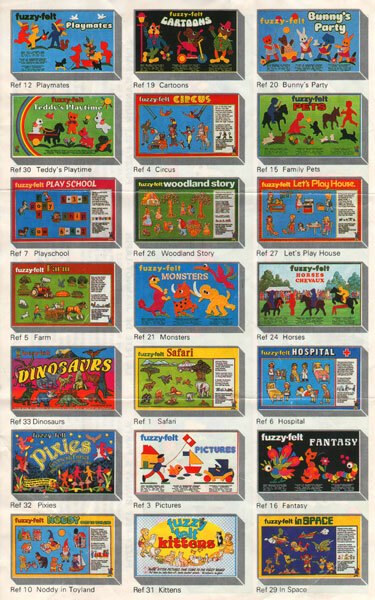 The sets below are missing from the above reference list, some of which I suspect never added as they were no longer produced (lower list).